Look for a beautiful Anarkali pattern made of cotton. This Anarkali long kurta is fabricated with the silhouette of beautiful round neck design and three fourth sleeves. 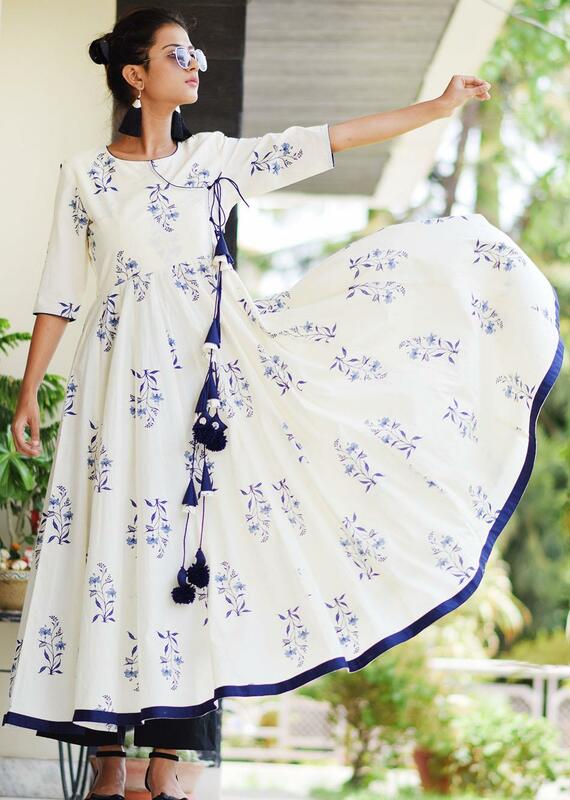 The off-white printed kurta can give you a unique fashion style with a traditional touch.